Excitement is starting to build for King Avenue’s latest community outreach ministry! 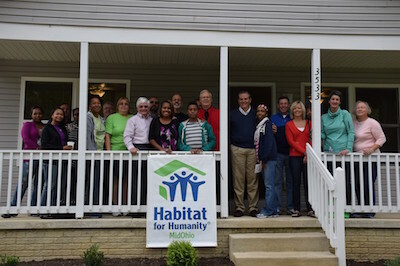 Starting with the 2015 build season, KAUMC has decided to join the Hilliard Adopt-A-House (HAAH) affiliate of Habitat for Humanity MidMidOhio. Hilliard Adopt-A-House is a non-profit 501(c)3 charity that is one of six local church partnerships that annually build or renovate houses for deserving low income Central Ohio families. Established in 1996, HAAH consists of Hilliard UMC, Indian Run UMC of Dublin, St. Brendan the Navigator Catholic Church and St. James Lutheran Church. Over the past 19 years this dedicated group has built eleven new homes and also rehabilitated eight others. 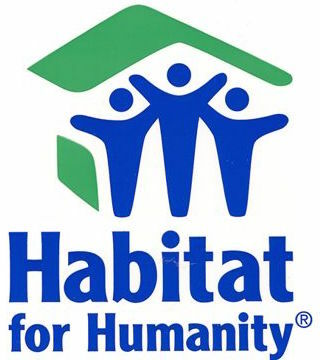 Habitat for Humanity International is an ecumenical Christian housing ministry. 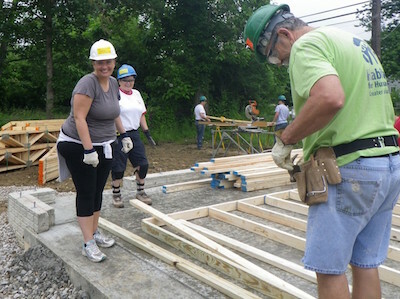 Habitat affiliates work locally in communities around the world to select and support homeowners, organize volunteers, and coordinate house building. Since it’s founding in 1976, Habitat has built more than 400,000 homes worldwide, providing shelter for more than 1 million people in nearly 90 countries. In the Central Ohio community, Habitat has built more than 315 homes since 1987. In 2014 HfHMO built 14 new homes and rehabbed 6 other homes, providing safe, affordable housing for 20 families who have a total of 35 children. 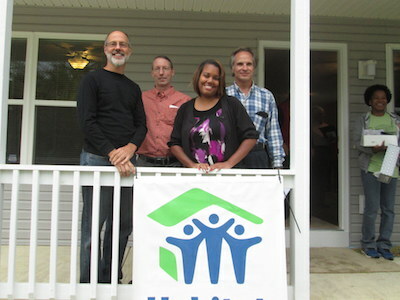 Habitat for Humanity interviews and selects families who earn 30 to 60% of the local median income level. They also work with local municipalities to secure vacant or abandoned properties, so in addition to benefitting the partner families, we are also improving the neighborhoods where they will live. The money to supply the needed materials, tools and professional services comes from private and corporate donors, faith based organizations, local build affiliates like HAAH and mortgage payments from current Habitat homeowners. The partner families who will eventually take possession of the homes are required to take classes on finance and home maintenance (provided by HfHMO) and put in at least 100 hours of “sweat equity” to help build their own homes. After taking possession of the homes the families agree to live in the homes for at least 10 years and make interest free mortgage payments. Habitat for Humanity is proud to say that they don’t offer people a handout, they offer them a hand up! A “house lead” who has been involved in over a dozen home builds. He plans each work session and coordinates with HfHMO to make sure we have the tools and materials we need each week. Several “crew leads” who are also very experienced in building Habitat homes. These folks lead small groups of 3 to 4 people to do various small jobs that are assigned to their crews by the house lead. In addition to being knowledgeable and focused on their assignments, they are also there to teach their crews how to perform the work and make sure the work meets our high standards. A safety supervisor whose primary job is to make sure that everyone is working safely and following Habitat’s work practice guidelines. Habitat for Humanity is fully OSHA compliant now and HAAH provides all needed safety glasses, hard hats, gloves, harnesses and other items to make sure that everyone goes home as healthy as they were when they came to the building site. All volunteers who work on the site have to be at least 16 years of age and everyone has to wear closed toes shoes while working. The safety supervisor also spends time during the day taking pictures of the workers and the house progress, and HAAH’s website is updated weekly with the pictures. Check them out at www.hilliardhabitat.org! Volunteers workers of course! Absolutely no prior experience is necessary and we often have new volunteers who have never hammered a nail into a piece of wood. Each week there are a variety of types of work that are done, so volunteers have a lot of freedom to work on things that they feel comfortable doing or things that they would like to learn how to do. Don’t like climbing ladders? That’s okay, as we’re also planting trees today. Is your shoulder ailing you today and you don’t want to lift drywall? That’s okay also, as we’re building some shelving in the nice cool basement. Scared of electricity? No problem, as Habitat hires out work like roofing, plumbing, concrete pouring, electrical work and air conditioning to licensed contractors. Lunch providers. HAAH generally works each Saturday and Wednesday, weather and home football games permitting! On Saturdays the five member churches take turns providing lunch for the crew. Some days we have cold cut sandwiches, chips and brownies, and on other days the “church basement ladies” outdo themselves and bring casseroles, pasta salads and homemade apple pie! Wednesdays tend to have a smaller staff of retirees and young adults who are off of school for the summer, and on those days folks bring a bag lunch to the site. Hilliard Adopt-A-House had our first work session on June 5th of this year and we are expecting to work on the house for the rest of the year. As mentioned above, there are generally work sessions every Saturday and Wednesday. Some people are there for most of the work sessions and other volunteers are only able to come out and help on the house once or twice a year, which is just fine. There is no set commitment that volunteers have to make, so they come out and help when they are able. Shown here is King Avenue’s first pair of intrepid Habitat volunteers Barbie Isaacs and Trena Brown, who were busy assembling the walls for the garage. Judging by the smiles on their faces, they will be coming back to help again soon! 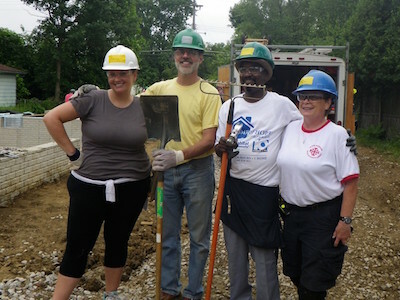 If you are interested in learning more about King Avenue’s newest mission work with Habitat for Humanity, or know that you want to volunteer your time and talents to this effort, please contact our coordinator Larry Ziniel at 614-282-8371 or larry_ziniel@yahoo.com. In order to see specific information about an ongoing project, sign up to volunteer to work, or check the project calendar, visit the Hilliard Adopt-A-House (HAAH) website. Working with Habitat for Humanity is fun, satisfying and a great way to learn new skills… and practice them on someone else’s house!